Soul Food for Young Adult Communities: Fifth Sunday of Easter, Year C: April 28, 2013. See Mass Readings for today, click here: Have a quick look at the first reading, from the Acts of the Apostles 14:21-27, where Paul and Barnabas come back with great accounts of their first missionary journey into pagan lands. Then, the Gospel is from a very early part of the Last Supper, in John 13, where Jesus tells us what’s about to happen to him, and how we should love each other like he loves us,- for all the world to see. First, we remember this week the several hundred people dead or missing, in the tragedy in Bangladesh, and the thousands injured. They are part of us. 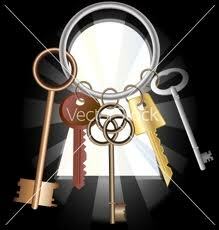 Do you know that seven billion doors need seven billion different keys? outside, provided you have a key, or if turning the handle will open it for you. You can open a door for someone. Someone can open a door for you. And Opening Doors is an image we find in the first reading, this Sunday: we are told that God ‘opened the door of faith to the pagans’. 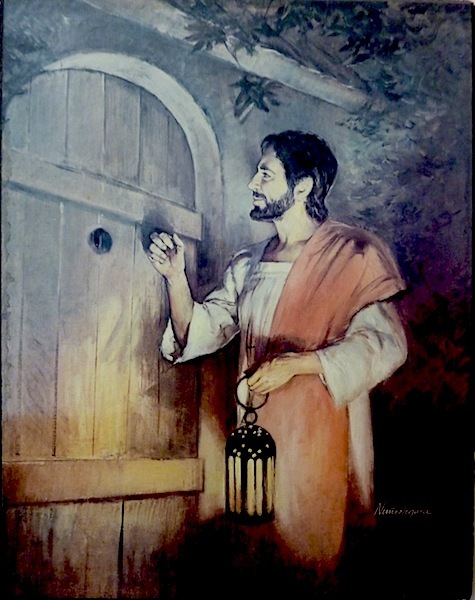 How does God ‘open the door of faith’ for any person? Well, there are 7 billion people on our planet right now, and each single one of that seven billion people comes to God in different ways. You have your way. I have mine. Others have theirs. 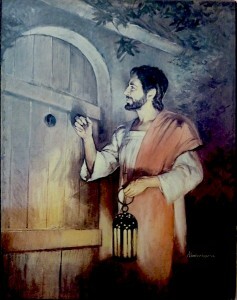 Opening the door of our hearts is something that only God and ourselves can do together. Some people see suffering and injustice, and respond to it. Others reach out to other people, and that’s the door that may open for them. Sometimes it’s a moment of joy, like the birth of a baby, or a glorious sunset. Others ask many questions about the meaning of things. Others meet someone and life changes for them. Others meet a community and they feel welcomed and at home. Others start to love people as Jesus does. Others come to come through their knowledge of science,- astro-physics, maybe, or sub-atomic particles, or the wonders of biology. Its amazing what can open doors. Others do it for us, and we do it for others. When God ‘opened the door of faith to the pagans’ (first reading) , many different keys were used,- words, images, questions, wonder, music, art, compassion, suffering, belonging… God has seven billion keys to use! AHA! MOMENTS: Jesus said, in his final hours (in today’s Gospel from John 13): ‘The Son of Man has been glorified. God will glorify him very soon.’ In other words, people will come to have an Aha! moment about Jesus,- they will see who he really is,- that Jesus of Nazareth, the Rabbi in Galilee, is the Son of God! And you see him best in his glory, on the cross! Arms out wide, his heart bursting, Love totally revealed to us. The cross is his greatest moment of glory! A cause of great rejoicing,-for us! ‘I live by faith in the Son of God who loved me and gave himself for me!’ cried Paul. The Risen Lord gladly shows us the wounds in his hands and feet and side. That’s the One we follow. Have a great week. Spread the Word! P.S. For reading these, you could invite one other or two others to share the reading with you and talk about it, argue about it, fight about it even, and then- pray about it. ‘When two or more are gathered in my name, there I am in the midst of them.‘ He’ll be there when you share!